Minneapolis-based space150 is using the technology to weed out applicants with questions like "How would a dog wear pants?" Last year, digital agency space150 pioneered a new application for Snapchat geofilters by using them to discover potential summer interns. This year, the digital agency is once again adapting new technology to suit its recruitment needs. Last week, the Minneapolis-based agency, whose clients include Nike, Buffalo Wild Wings and American Express, began searching for its next crop of summer interns using a custom SMS chatbot. Why a chatbot? "The majority of the work we do ends up on that [mobile] screen," said Ned Lampert, creative director at space150. "We’re in that world so much that it felt like the right platform for it." Since the agency is only looking for 10 interns across its Minneapolis, New York and Los Angeles offices, the chatbot also helps to weed out potential interns. "Those candidates that make it through the process understand us," he said, "and we want creative thinkers and those willing to learn." To participate, applicants text "Intern" to 20-150DEETS (201-503-3387). The chatbot then asks for the user’s full name and proceeds to ask personal questions ("What’s your favorite Instagram account") and silly but challenging ones ("How would a dog wear pants?"). Finally, it provides a link to formally apply online, and will do so until applications close on March 31. 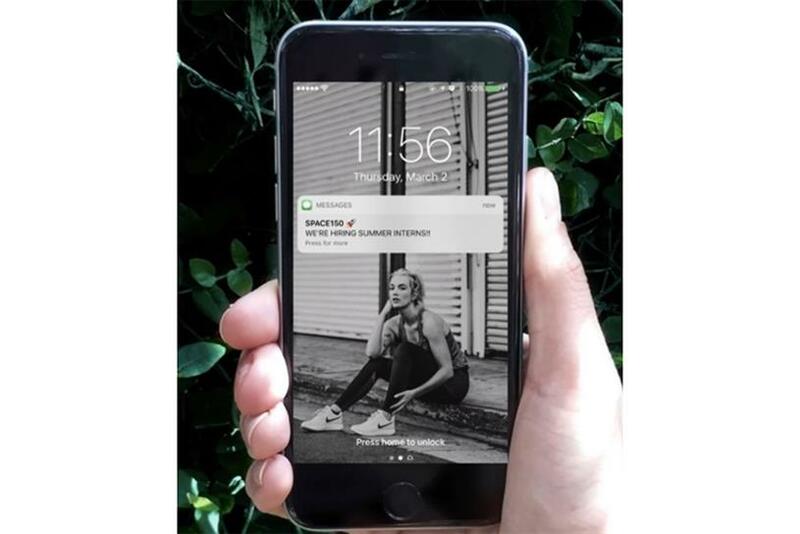 To drive interested people to the bot, space150 is promoting the open positions using Instagram Stories, a format the agency is comfortable with after used it for several ads, including one of the first to appear in Stories for Nike, Lampert said. In the story, space150 shares information about its offices and the chatbot number. WE'RE HIRING INTERNS ?? NYC / MSP / LA ?? The story also works to differentiate the agency. "We looked at some competitors’ intern videos and they were all like, ‘Hey kids, come work here, it’s cool,’ with corny voiceovers," said Lampert. "We looked at that and said that’s not who we are. We wanted to come up with a totally different approach." It’s already been a success, according to Lampert. In a week, the chatbot has received more applicants than the geofilters did by the end of space150’s recruitment period last year. The chatbot has interacted with roughly 150 applicants so far, while the geofilters on the whole brought in 115. Still, the agency found two interns through the geofilters who were promoted to full-time staff members by the end of the summer, according to Lampert. "The pool of people was fantastic," he said. He expects nothing less this time around.